Hunter Kelly (BEd ’17) has received the first Alex Trebek Leadership Award, a $10,000 prize recognizing the academic and community achievements of an outstanding student graduating in the current academic year. In addition to this generous annual award, Jeopardy! host Alex Trebek funds the Alex Trebek Distinguished Lecture series and the Alex Trebek Forum for Dialogue at the University. Trebek graduated from uOttawa in 1961 with a degree in philosophy. As part of the award application, Kelly wrote a 500-word statement detailing her many community service activities, including volunteer work as an alternate care provider with the Children’s Aid Society. She has been involved with a foster family for the past nine years, taking care of four or five children when their foster mother is busy or out of town. 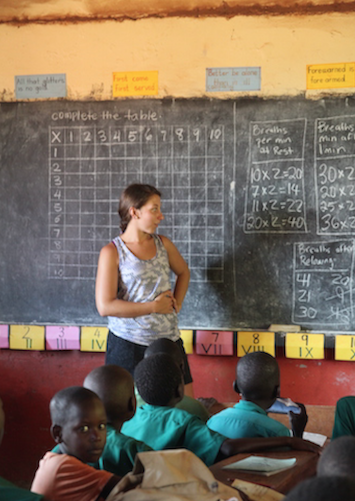 In April 2017, Kelly travelled to Kamengo, Uganda, to fulfil the volunteer placement requirement for her degree. Before undertaking this international practicum, she completed more than 200 hours of planning and fundraising activities, including bake sales, trivia nights and a comedy event. She and three fellow teacher candidates raised $8,000 to support children’s education costs and the work of the local Agnes Zabali Boys and Girls Club. While in Kamengo, she found a running buddy among the village children as she trained for the Boston Marathon. Kelly’s parents and older sister are also graduates of the uOttawa Faculty of Education. In September, she will begin work as a supply teacher with the Ottawa Carleton District School Board. 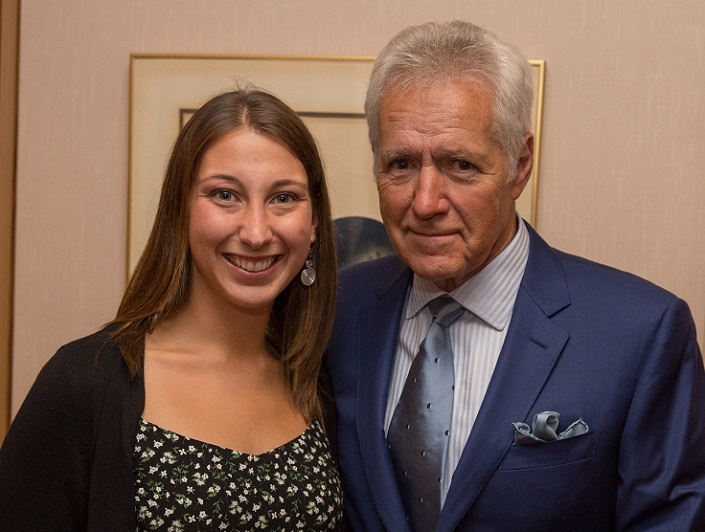 In a letter of thanks, she expressed her gratitude to Alex Trebek for making the award possible, adding: “Thank you for supporting me and my education."